Tessa is our show kitten for 2018-9. CH Halima Izzet Mavi of Tatvan that was shown in 2017 and is a sire. Buckwheat is our HHP, loves to go to the shows and make new friends. He is a companion for the Vans and is a Regional Winner for 2014-15. He became a Supreme Grand Master May 23, 2015 and Lifetime Achievement in 2016. Cashew, our Household pet is a show companion, Supreme Grand Master and Regional winner for 2011-2012. 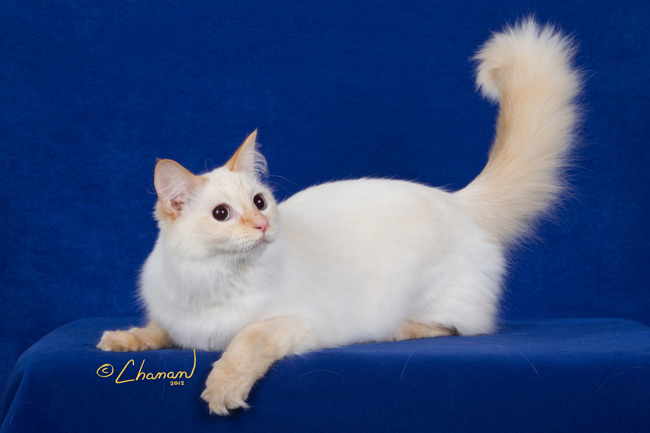 Below is Maxwell Housecat, our Household Pet who is now a Quad Grand Master and Regional Winner for 2012-13. 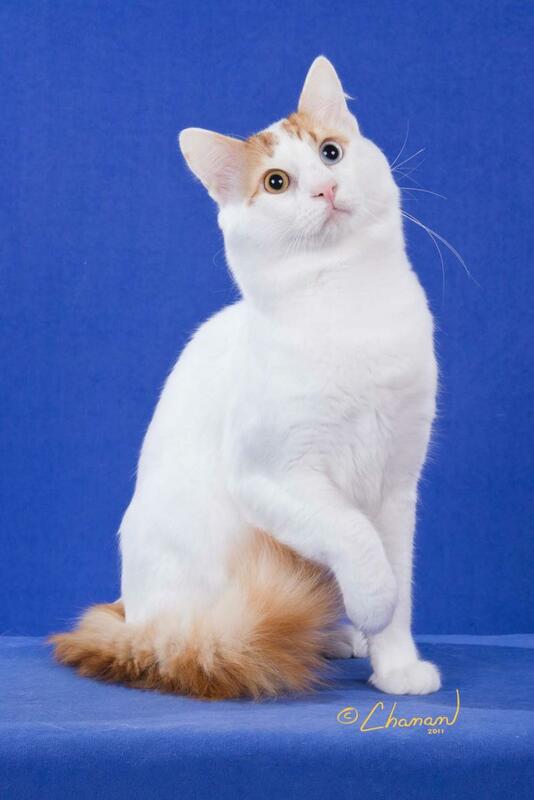 We showed SGC RW Tatvan Yuri Leonid(Leo below)a red classic tabby and white boy with blue eyes the year of 2013-2014. He likes to play with the judges toys and meet new people. 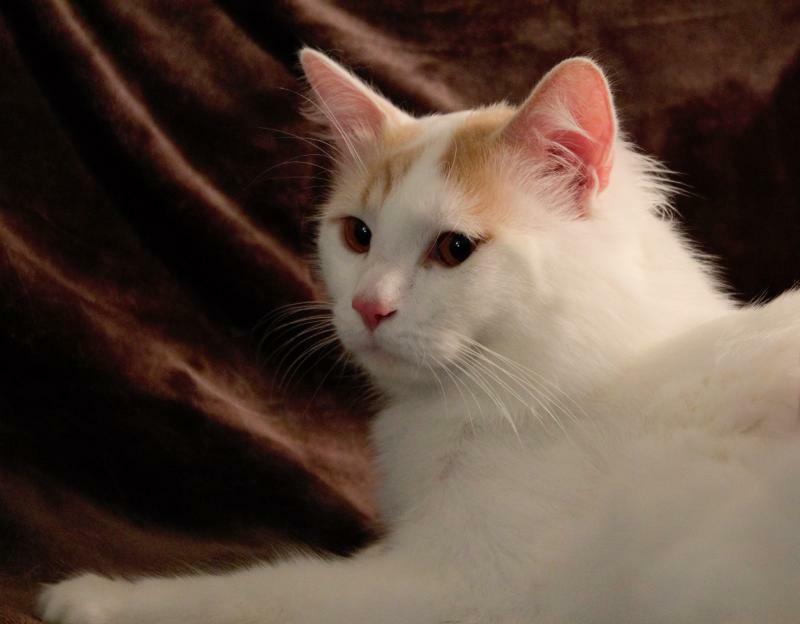 Leo became a Supreme Grand Champion in November 2013 at his 3rd show and went on to be 2nd best Turkish Van internationally in TICA and a Regional Winner for 2013-2014. He is a very sweet boy with blue eyes and was a joy to show. CH Sirenas Belle of Belfast was our show kitten for 2017. She is a Regional Winner for 2017-18 and has started showing as an adult. CH Tatvan Tatyana Kamile is showing this year and is a breeding girl. 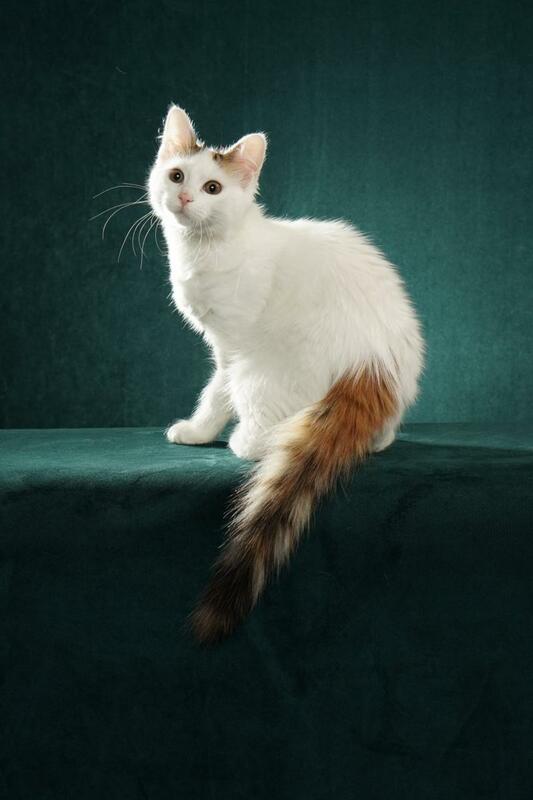 Halima Nabil of Tatvan is a Supreme Grand Champion, a Regional Winner and 2nd best Turkish Van in TICA for 2014-2015. He became a Supreme Grand Champion May 23, 2015. 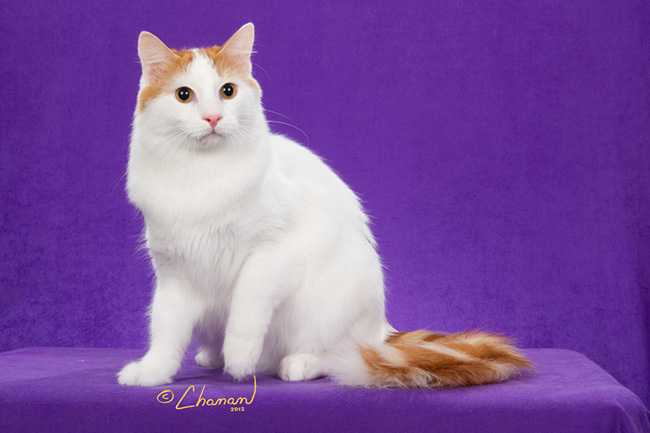 Kermit (below) is a Supreme Grand Champion, 3rd best Turkish Van Internationally and a Regional Winner for 2011-2012. We are so proud of our wonderful boys! Katyenka, a dilute tortie became a Grand Champion at the annual regional show in August, 2014!